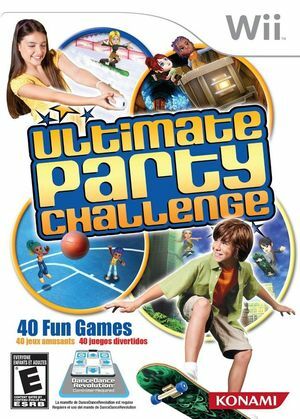 Get ready to challenge your friends and family in the Ultimate Party Challenge! Play in a variety of high-energy, over-the-top competitions, wacky sports activities, and quick brain challenges. Get your body moving by using the Wii mat and Wii Remote to test your speed and rhythm. Jump into a world of colorful, fun, and interactive backdrops along with innovative Wii gameplay, offering a variety of multiplayer modes that will keep everyone on their feet! The graph below charts the compatibility with Ultimate Party Challenge since Dolphin's 2.0 release, listing revisions only where a compatibility change occurred. This page was last edited on 13 January 2018, at 08:42.